The Luth-AR Modular Buttstock Assembly (MBA) for AR style rifles is designed to replace the standard buttstock on your AR. The MBA-1 is designed to work with a standard A2 rifle style buffer tube and features Length-of-Pull adjustment and an adjustable cheek rise in a low-cost, lightweight, strong and high-quality design. 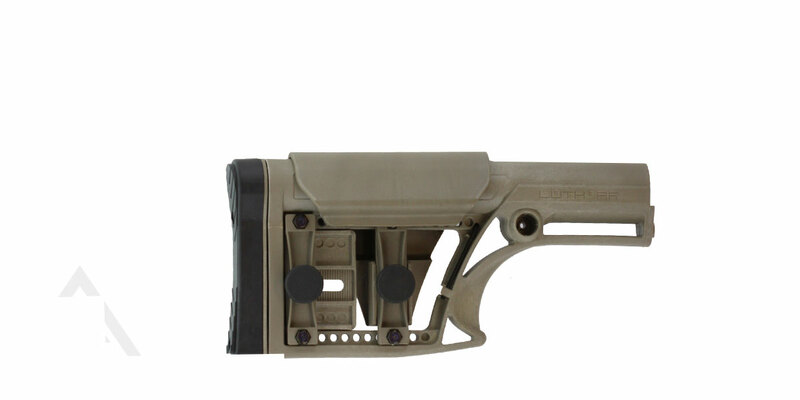 The modular design of the MBA Buttstock allows you to configure your buttstock to your specific and personal needs. 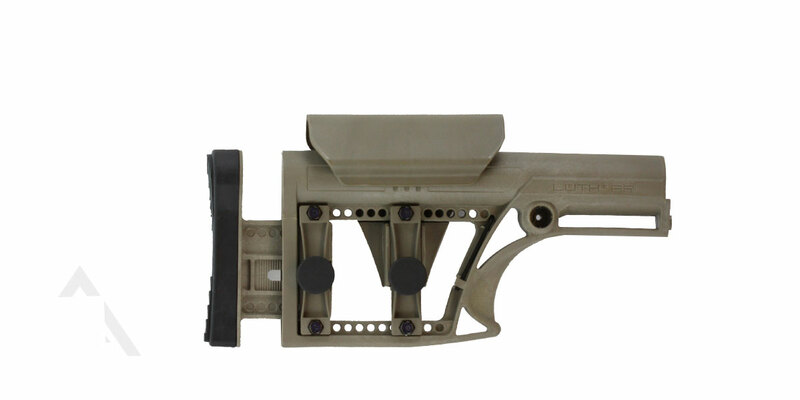 The MBA features multiple attachment points for a sling, and has a rail attachment available.